Frogs are intrinsically associated with French cuisine, but they are also a very popular delicacy throughout the world. Peoples throughout South America, North America, and Southeastern Europe enjoy these little amphibians as hors d'œuvres or main courses. If you’re willing to try something totally new and tasty, we guarantee your dinner guests will be jumping for joy. Frog legs can be prepared in a number of ways, and they are also a great source of protein, fatty acids, vitamins, and potassium. If you’ve never prepared frog legs before, Robert Wholey Company is here to help. Explore our selection of frequently asked questions today to learn more. What do frog legs taste like? Frog is often said to taste like chicken, because it is mild in flavor. Frog legs can be best compared to chicken wings in taste and texture, but some people say that they taste similar to fish. How do you cook frog legs? There are several ways to cook frog legs, but the most popular methods are baking, deep-frying, grilling, or sautéing. Before cooking, you should ensure that your frog legs have been fully prepared to the stage of being individual legs, ready for immediate preparation. If you buy cleaned frog legs but they’re still joined at the hip, you can cook them just like that if you wish. What part of frog legs can you eat? 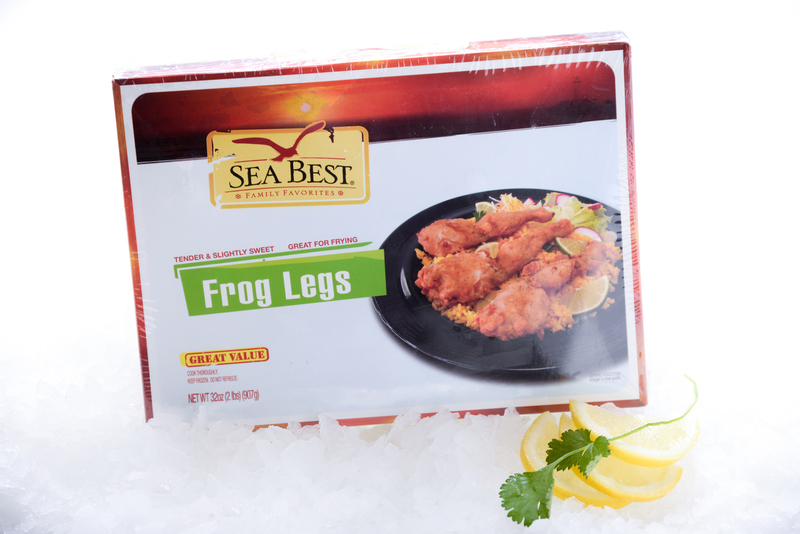 Frog hind legs are filled with tender and succulent meat that is perfectly safe for you to eat. Avoid eating the skin, because it is very tough. You must also disjoint the frog legs before eating them. How do you eat frog legs? Frog leg etiquette can be tricky, but you should generally use your thumb and forefinger as pliers to hold the legs. Separate the large joint of a large frog leg with a knife and a fork before eating. How do you remove bones from frog legs? Lay the joined pair of legs flatter side down on a chopping board. Use a cleaver to slice precisely between the tops of the two legs and through the hip bone. Feel with your fingers to find the shape of the remaining hip bone at the top of each leg to get its pattern before using the cleaver to remove completely. Frog legs may seem like an unusual treat, but we guarantee that your taste buds will be surprised. If you can’t find the answer to your question or you would like to learn more about frog legs available at Wholey’s Market, please contact us today to speak to a customer service representative for further assistance.